The concept of wellness in the workplace is continually evolving. From in-office employee fitness challenges to midday meditation breaks, studies show that these programs not only benefit employees, they’re also cost effective. As reported in Health Affairs, a critical meta-analysis of the literature on costs and savings associated with wellness programs found that medical costs fall by about $3.27 for every dollar spent on wellness programs and that absenteeism costs fall by about $2.73 for every dollar spent. Essentially, wellness in the workplace simply makes good business sense. It’s no surprise then that one of the world’s leading fitness brands would be a first mover in this space. 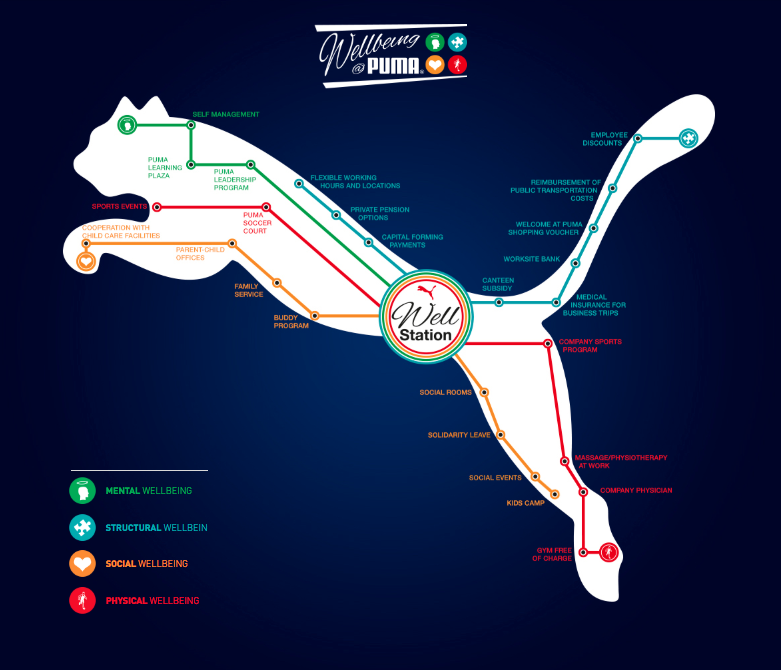 When PUMA created its Wellbeing Program many years back, the primary objective was to provide a positive workplace and promote the wellbeing of all PUMA employees through focusing on four main areas of physical, structural, mental, and social wellbeing. Through a variety of initiatives including everything from kids’ camps for employee parents to providing a massage therapist at work, the program strives to be as comprehensive as possible. And that includes the snacks it serves in its offices. According to a report from Mintel, millennials snack four times a day or more, and often replace meals with snacking. And overall, 94 percent of Americans report snacking at least once a day. This has many impacts, not only on the marketplace but for overall individual health, which means finding healthy ways to snack is more important than ever. We spoke with PUMA’s Victoria Nilan to discover how the PUMA Wellbeing program has taken on the challenge of keeping its employees well fueled from morning meetings to end-of-day planning sessions. So what keeps the Nilan’s Boston-based team performing at its peak? In addition to keeping employees happy and healthy, the Unlimited Snack Program made financial sense: Offering bottomless snacks at a fixed monthly charge per employee can save more than $2,000 per year, according to NatureBox. Another plus for Nilan? 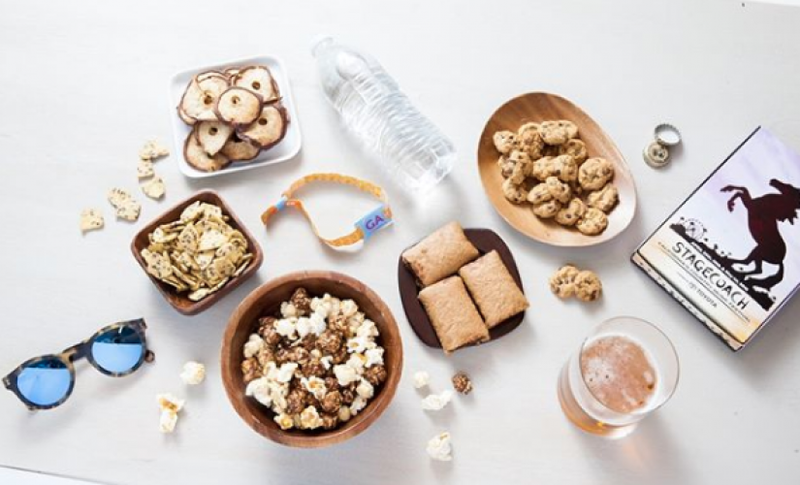 There was no need to tinker with amounts of snacks nor a constantly changing fee, which made integrating the snacks program into Puma’s overall wellness plan even more turnkey. PUMA and NatureBox partnered to develop a snack program to power PUMA’s fitness-obsessed employees. The two companies provide tips for setting up your own health-focused corporate snack program that will save time and money. Do you know what your employees like to eat? What they can’t stand in terms of flavors or ingredients? Survey them ahead of time to determine best snack selection. Don’t stop at likes and dislikes: survey your employees’ nutrition and health needs, too. Are they looking for high-protein snacks that can tide them over if meetings run long? Or do they prefer snacks like dried fruit that can provide quick bursts of energy? Remember to consider employees’ specific dietary requirements. Whether vegetarian, low-carb, or no-sugar, there are snack programs out there that can meet everyone’s needs in the office. Keep the assortment fresh: everyone likes a rotation of new and delicious bites. Think beyond the typical chips and candy and experiment with jerky, oatmeal and other unique and tempting healthy snacks. Look for “set it and forget it” snack services that allow you to create a turnkey program that satisfies your employees while not monopolizing your time, or your budget. Consider an unlimited plan. Offering bottomless snacks at a fixed monthly charge per employee can save more than $2,000 per year, according to NatureBox. Consider quantities to reduce waste. Start by ordering a modest amount of snacks, and adjust up or down as needed given your company’s snack needs. Don’t get caught in a long-term contract. Many snack programs have a no-commitment option, allowing you to cancel at any time. Especially when beginning your corporate snack program, flexibility is key. Go healthy. The healthier and yummier you can make your snack program, the more it will benefit the health and happiness of your employees. Continue to improve the program by gathering feedback after the program starts. People will have unexpected snacking likes and dislikes and you’ll want to think about adjusting snack amounts accordingly. Whether it’s post-it notes and a pen on the snack cabinet or an email to direct reviews, ask your employees to chime in on the favorites (and not-so-favorites) of available snack selections. Ideally, we could provide two images: The Puma infographic (link below) and a NatureBox product array shot.